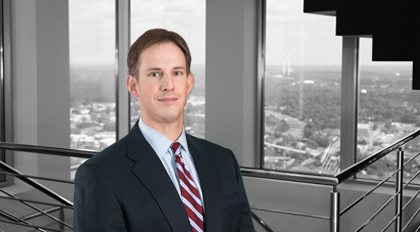 A member of Moore & Van Allen’s Wealth Transfer Planning Team, Brad Van Hoy has significant experience in assisting high net worth clients, family offices and closely held business owners achieve their estate, tax, asset protection, family, business and charitable planning goals. Whether crafting an estate or tax plan, advising on estate or trust administration issues, providing counsel with respect to closely-held business operation and succession issues, assisting in the purchase or sale of a client’s business, or advising family offices, Brad enjoys working collaboratively with his clients and their other advisors to devise and implement the client’s desired plan efficiently and effectively. A speaker on estate and tax planning topics, Brad provides sophisticated advice and counsel across a broad range of estate, gift and generation-skipping transfer tax issues and planning techniques, including testamentary estate and tax planning, structuring and implementing sophisticated lifetime leveraged gifting techniques such as sales to defective grantor trusts, grantor retained annuity trusts (GRATs), gift and sale transfers of interests in limited partnerships and limited liability companies, and insurance planning. For his family office clients, Brad enjoys working with the family members and partnering with their family office team to address the family's estate, tax, philanthropic, family education and generational succession needs, helping to structure their family business ventures and investment opportunities in tax efficient, asset protected, multi-generational trust and entity structures through a coordinated estate and tax plan. With respect to his clients who are closely held business owners, Brad works as a trusted advisor with the owner and the owner’s family, providing counsel regarding the purchase or sale of a business, the structuring of business succession plans and the transfers of interests in the businesses to subsequent generations.